Before the rise of the internet, companies that operated most efficiently owned the marketplace, which led to organizational hierarchies. However, the 21st century belongs to companies that can adapt and innovate to markets that are changing rapidly through technology. Successful companies have become more agile in their organizational design. In this new model, employees should be given more responsibility to make decisions, innovate, and quickly form teams to prototype and experiment. Employees who are closer to customers and the market should take more responsibility in collaborating and developing solutions, rather than waiting for decisions and approvals from managers. But this cannot be done well through employees acting individually. This autonomy is most powerful when harnessed through the power of teams. Decorated four-star General Stanley McChrystal introduced the concept of ‘team of teams’, based on his book of the same name (see this summary of the book). General McChrystal applies what he learned while commanding UN and U.S. forces in Afghanistan, a complex environment that mirrors the complexities of the modern world. General McChrystal’s view is that the traditional ways of organizing hierarchically no longer work, and that we must address modern challenges in new ways. The best way to do so, he says, is to form a network of teams. This approach is discussed in the context of military strategy, where teams were better able to handle threats that couldn’t have been foreseen by a single manager. Every member of the team contributed to solutions by collaborating with each other rather than from taking pre-defined orders coming from the top. This allowed for the flexibility to adapt to the local situation. When linked together, “team of teams” openly shared information, trust, and purpose. Instead of silos, lateral ties established an interdependent organization more representative of how the world operates. Placing people in small teams also allows course participants to showcase leadership skills that would otherwise be stifled by an organization’s hierarchical structure. Learners improve their collaborative skills by working together to submit team assignments. Teams operating independently feel trusted and are fully accountable for the work that they do. And for instructors or administrators, powerful analytics provide a full view of participants’ activity and course progress. Instead of utilizing “top-down” tactics for implementing ideas, a greater number of employees are given leadership opportunities in their smaller teams. As more participants feel empowered, a greater number of innovative ideas are created. Employees feel more empowered and motivated to implement the solutions that they and their colleagues have created, and this is the power of team-based learning. While many employees would happily embrace more responsibility, this trend towards greater autonomy is starting to become a wave that is overtaking even traditional, staid industries such as media, insurance, financial services, and telecommunications. Employees who may have been operating in a traditional hierarchy for decades may need guidance and coaching to embrace the freedom and responsibility offered by this new model. 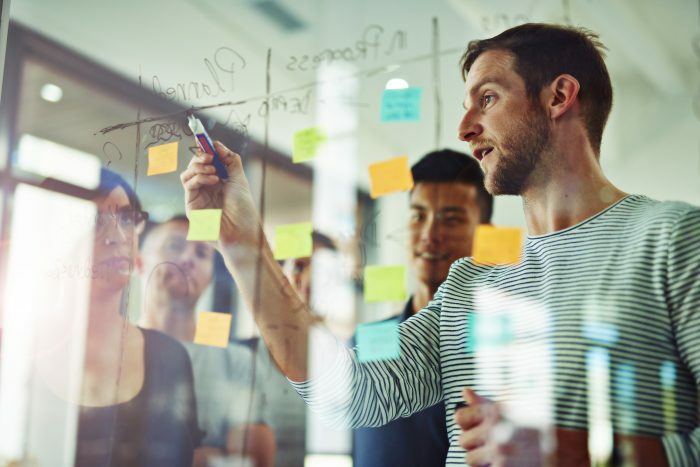 While the first three of these (purpose, trust, and transparency) are vital, a culture of learning is what connects these ideas and builds the skills required for agile, team-based organizations. Organizations that embrace continual development of their employees, goals, and culture are more likely to continually adapt and succeed as circumstances shift. It may be that these teamwork skills are the critical skill for helping organizations thrive in this new business environment. 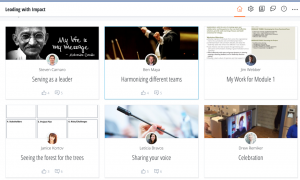 The NovoEd Learning Platform helps not only people learn specific content areas, but it helps people develop these teamwork skills through peer feedback and group projects. Contact NovoEd Sales today to see how we can help you with your training needs!